Some people find making friends to be a very difficult task. It doesn’t have to be, but it does require patience, love, and commitment. I often say on my radio show, Dawson McAllister Live, that it is incredibly valuable to have good friends. Friends will enrich your life and be the anchors that keep you grounded when everything else around you seems to be out of control. But what if you’re at a new school, or maybe starting a new job and you don’t know anyone. The sooner you learn how to make friends, the more fulfilling your life will be. So, how do you make new friends? 1) Spend more time around people with similar interests. You can’t make friends sitting at home watching TV. Sooner or later, you have to move out into unchartered waters…the real world where things can sometimes be unpredictable and uncomfortable. The best way to work through this is to stare down your fears and take the plunge. It may not be a great experience the first time, but if you keep at it, you will attract people to yourself. The easiest way to make friends is to get involved in activities that you are comfortable with. You will find people with similar interests, and the relationships will develop naturally. Volunteer somewhere – when you work together with other people on a common goal, you will develop friendships more rapidly. 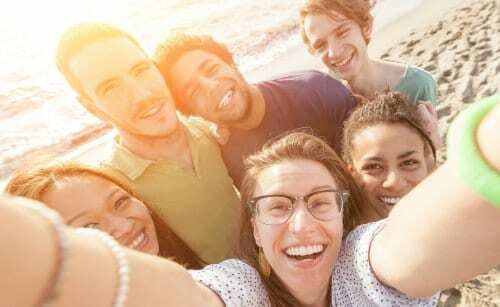 Join a club – here’s where to find a group of people with similar interests and interact with them while you do what you love. Join a sports team – this is a great way to make friends as you compete against an opponent. Shana said, Having a goal you share with other people, even strangers, will draw you together. I went on a missions trip with people from my church and we all became really great friends. Shana is right. She took her eyes off herself and her own fears, and found new friends who all had a common goal. 2) Reach out to people – You can join all the clubs or teams in the world and you’ll never make friends with anyone if you don’t reach out to others. Remember, everybody needs encouragement and attention, even small words of kindness will make a difference. You can talk to people anywhere…at church, in class, at the gym, at your job or just about anyplace. Ask people questions about themselves and take an honest interest in them. People are most concerned about themselves, therefore, reaching into their world with genuine interest will bring you friends. Jessie said, People sometimes think you’re crazy for talking to strangers. But being nice to other people is a great way to live. And it’s a great way to make new friends. 3) Make efforts to get together – When you meet someone you find interesting, be courageous enough to ask him or her to meet with you at another time. Make a future plan. It’s easy enough to say “We should do this again sometime.” But make sure to follow it up with an actual planned date and time. 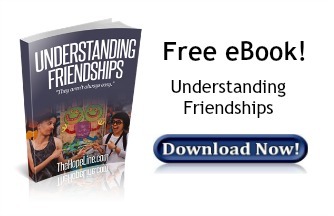 It’s a great way to find out if the other person is open to having your friendship. Don’t ever try to pressure anyone into getting together with you. But be honest and sincere about your desire to get to know them. 4) Be a good friend – Some people have a lot of acquaintances, but very few friends. What is the difference between friends and acquaintances? An acquaintance is someone you might see everyday, and you might even have conversations with her or him, but it usually doesn’t go beyond friendly, superficial talk. If you’re looking for a good friend, you will have to work harder and go deeper than just saying hi to everybody. A good friend is available, reliable, and trustworthy, and also a great listener. Wade said, I don’t want any friends who don’t care what goes on with me. 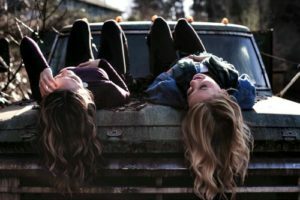 If someone wants to show me they’re a good friend they will ask me about what I’m thinking and feeling. Just remember, there are many people all around you who are waiting to make new friends as well. Make it your goal to find them. It takes a while to develop friends, so be patient, it will work out. 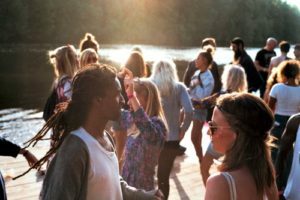 If you often feel socially awkward, read my blog on Overcoming Social Anxiety for additional tips that will help you to be more outgoing. But i think if you become too reliable, people think you are a cheap person and do not want to care about you anymore. Well, that s my opinion. Or my way of being reliable is really wrong. I tried to reach out people, i helped my friends whenever they needed me, but now, they barely notice me .